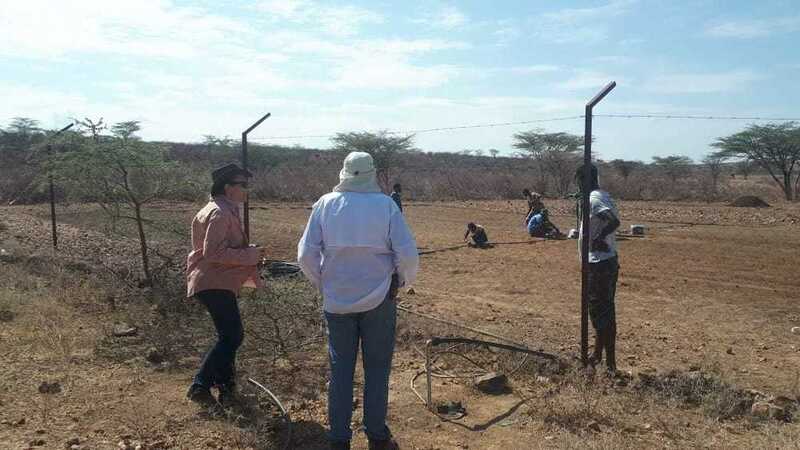 As part of our efforts to improve the lives of the poor nomad worshiping community in Lodwar, Kenya, St. Stephen Catholic Church has partnered with an Israeli organization, Furrows in the Desert, (FID), which specializes in desert agriculture and rural development. Furrows in the desert has helped to introduce desert agriculture in Lodwar as a new source of food production and income generation. The parish has sent some young people for FID training and presently the desert farming project has begun around the parish premises. However, water supply has become a major constraint in this project. This is because in the entire Losajait village where our parish is located, there are only 2 water sources - one functioning water borehole located within the church premises, which is powered by an old generator, and an old manual water pump that often breaks down. Thus, when the old pump in the village breaks down, the borehole in the parish becomes the only source of water for the entire village - supplying water for the villagers, the rectory and the farms. This has become increasingly difficult, as the old parish generator-powered water system can no longer withstand the pressure of pumping water for all of these uses. To achieve this project goal among other things, there is an urgent need to upgrade our water supply system to a solar power water system, and we are hoping to partner with generous donors to resolve this urgent need.